No retreat is complete without your own personal candle in your room (as long as the retreat allows you to burn it of course!) 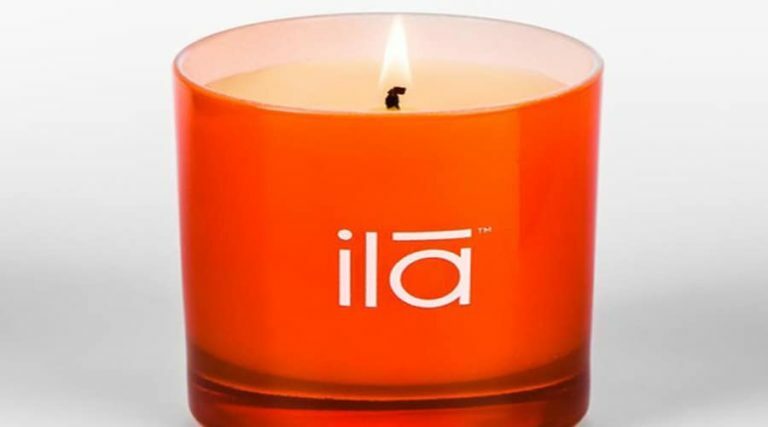 and ila’s Orange Blossom Candle For Higher Energy makes a wonderful gift for yourself or a loved one to take on retreat or to retreat with at home,. It has an energising citrus fragrance ideal for uplifting weary spirits, and is made out of 100% clean natural ingredients including jojoba oil, eco-soya wax, beeswax and essential oils 100% petroleum and chemical free. You can expect around 50 hours burning time, and is . There’s lots of other flavours too – take a look. What’s queenly: You can use the melted wax to nourish and fragrance dry hands and feet. What’s lowly: It’s not in a travel-friendly tin, so you’ll need to carry it in its box, and wrap it in a sarong or some such for it to be safe in a suitcase.